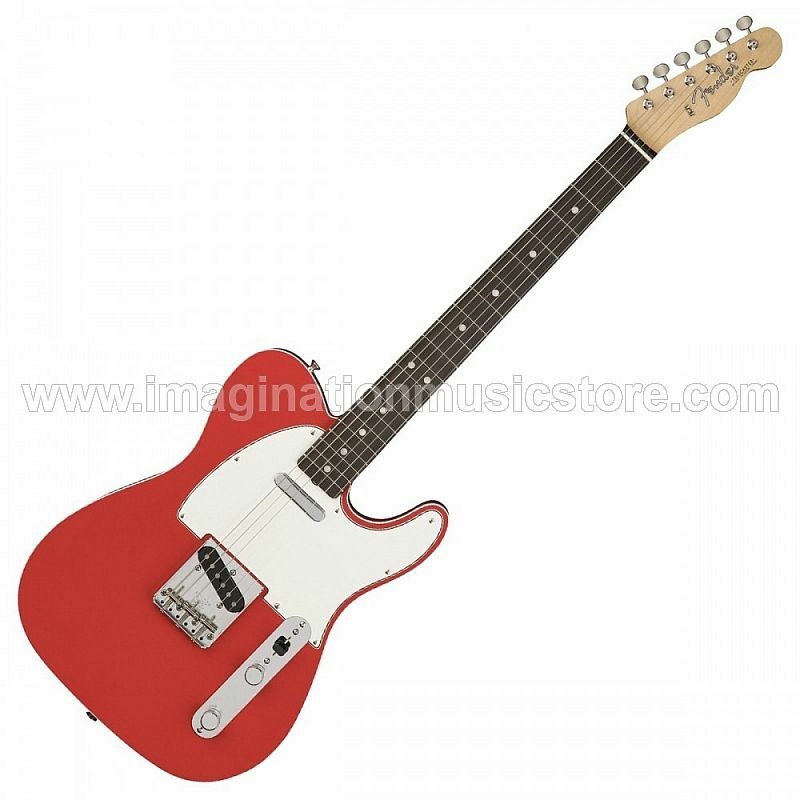 The '60s saw a number of changes for the Fender Telecaster, most notably in the form of the 1964 Telecaster Custom. It's from this black-tie beauty that the Fender American Original '60s Telecaster draws inspiration. Front and back body binding give this Tele its showcase looks, and a smooth-playing rosewood fingerboard adds touches of warmth and sustain to its characteristic twang. The comfortable '60s "C" neck feels great in the hand, while the modern 9.5" fingerboard radius permits lead work you'd be hard-pressed to replicate on a true '64. Painstakingly period-correct Pure Vintage '64 bridge and neck pickups, together with a vintage 3-saddle bridge and copper plate, give the American Original '60s Telecaster a blues and country soul that's just to die for. This Tele's '60s-era "C" neck profile is suited for all playing styles. It's a little chunkier than the modern Fender "C," but still contoured, for both thumb-behind and thumb-over players. Where the American Original '60s Telecaster has the advantage over a classic '64 is its enlarged 9.5" (from 7.25") fingerboard radius, which allows for upper-register leads and bends with less risk of fretting out. These Pure Vintage '64 single-coils are as period correct as they come, from the fiber bobbins and Alnico V magnets right down to the enamel-coated coil wire and cloth-covered output wires. The woody twang and delicate dynamics of your favorite classic player are reborn in this stunning tribute. This Tele gets a cosmetic upgrade courtesy of front and back body binding and a nitrocellulose lacquer finish. If you're looking for a Tele with a visual kick, look no further than the Fender American Original '60s Telecaster from Sweetwater.